TedTalks are one of my favorite sources for inspiration. There are over 2600 videos on Ted.com on all kind of topics, so it can be a bit overwhelming once you enter the site at first. I have made a selection of 5 of my favorite TedTalks concerning sustainability. Eventhough some of them are already a couple of years old, that doesn’t make them less relevant. Every single one of them contains an important lesson about our behavior and a message about what we can do to improve our footprints. Watch them, rewatch them, take notes, analyze what is important for you. 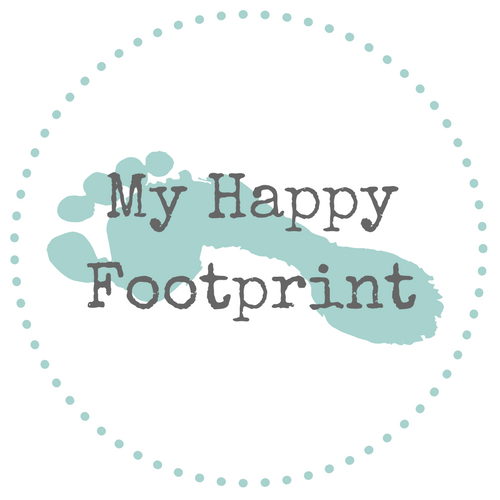 If you want to share your thoughts, leave a note at the end of this post or drop an e-mail at hello@myhappyfootprint.com. A farmer invested 16.000 pounds to grow spinach. Not a single leaf of which he harvested, because there was a little bit of grass growing in amongst it. Tristram Stuart is a British activist and writer of the acclaimed book Waste: Uncovering the Global Food Scandal. He helps charities, governments, businesses and institutions to implement reductions in food waste. In his TedTalk Stuart shows how much food is actually wasted. For cosmetic reasons, overproduction, or to feed the ever growing livestock market. He also shows how unequal food is actually distributed and how rich countries hold between 3 and 4 times the amount of food necessary to feed their populations. Graham Hill is the founder of TreeHugger.com and LifeEdited, two blogs that I highly recommend you to follow if you want to know more about sustainability and minimalism. In the first 25 seconds Hill captures the essence of his message, by sitting on a box. Watch the talk to find out what’s in that box, I bet it’s pretty familiar. The complete talk is a little over 5 minutes and will get you thinking about how much unnecessary stuff you actually own. Lucy Siegle, journalist and producer of the movie “True Cost” – which is available on NetFlix and 100% worth a watch, elaborates on one of the most contaminating industries, the one of fashion. Contaminating in many ways, not only destroying nature, but lives as well. Eventhough the estimates of Siegle of how much water it costs to produce one pair of jeans are a bit higher than other sources (that claim it to be between 3700 and 10.000, which is still shockingly high! ) this talk will definitely open your eyes about the impact of fashion. When you think about Costa Rica, the first thing that might pop up into your head are the stunning beaches. Or the fact that it’s the happiest place on earth, according to the Happy Planet Index. But did you know that Costa Rica also set a world record? In 2015 the country didn’t use ANY fossil fuels to generate electricity for 299 consecutive days. Monica Araya talks about the energy transformation of her country. She wonders how the rest of the economy can be ‘decarbonized’, pinpointing the transportation industry as the main problem. Earlier this year, the government of Costa Rica announced initiatives to ‘greener’ the transportation sector, which I can only assume made Araya happy. I am closely following the developments of Costa Rica on it’s mission to get rid of fossil fuels. This TedTalk is full of happy energy, not in the last place because you clearly notice the love Thsering Tobgay has for his country and its traditions. He explains how Bhutan became the first carbon negative country on the planet, how the tiny country has pledged to remain carbon neutral for all time and elaborates on a unique measurement of the Bhutan government: The Gross National Happiness. If you have any thoughts, comments or notes to share after watching (one of) these TedTalks, let me know in the comment section below!